For 2018, we’ve increased the total number of teams competing from 12 to 16, which should see a deeper field of competition for qualifiers as well as the grand finale itself. The above breakdown is nearly identical to 2016’s Halo World Championship, with one key difference being that Asia will not be featured in the competition. Based on performance on international stages and depth of competitive field, the 16th spot will be given to North America, bringing their total count up to 9. Overall, we want the regional split to not only represent that of a global tournament, but also ensure that each region’s competitiveness is also reflected. The HaloWC Finals format will be detailed in the official HaloWC 2018 handbook. Beginning on January 13, teams will compete online on GameBattles.com ladders and single elimination tournaments to earn qualification points based on their performance. Points will be used to determine qualification for travel and hotel accommodations for each region, including the Orlando Open. Points will also be used to determine seeding for all HaloWC online tournaments and live event qualifiers. LATAM Update: Historically, LATAM tournaments have been split up into multiple sub-regions. For 2018, LATAM will be split in two sub-regions – Mexico, and South America (Colombia, Brazil, Argentina, and Chile). We feel this change will help unite the player base to create a more competitive scene over time, while also ensure that online play isn’t impacted by the geography of the region. While this event takes place in the US, it is open to all players and teams from around the world. Players will compete for precious seeding points to bring back to their respective regions. Travel stipends and hotel accommodations will be provided for top teams from each region. 12 teams will be qualified directly into group play for the championship bracket based on a combination of the following two criteria: Performance at the HCS Fall 2017 Finals, as well as performance in the online tournaments leading up to the event. 96 teams will battle it out, with the top 4 from Winner's bracket qualifying for group play, and top 4 from Elimination bracket qualifying for the Championship bracket. This event will feature the 16 top teams in North America based on points. Based on performance throughout the season, teams will receive varying levels of travel and hotel coverage. As there will already have been an open event in North America (Orlando), and quite a few online tournaments where points are available, we felt it best to have the Regional Final open to the 16 teams that qualify through these open competitions. 1st and 2nd place in groups: The top 2 teams in each group will qualify for the HaloWC Finals, and will continue on in the tournament to fight for not only cash prizes, but also seeding for the HaloWC Finals. 3rd place in groups: The third place team in each group will face off in a single elimination bracket, where the winning team will take the final wild card spot in Columbus to qualify for the HaloWC Finals. 4th place in groups: The teams that finished last in their groups will be eliminated from the tournament. This event is the open regional final, where any team in Europe and the Middle East can register to compete and earn of one of the four available HaloWC 2018 Finals spots. The top 4 teams in points before the event will earn free travel and hotel accommodations. Like last year’s event, this tournament will feature an open double elimination bracket. The event will be seeded based on qualification points coming into the event. Open to teams in the Australia and New Zealand regions, this tournament will feature an open double elimination bracket where the top 2 teams will walk away with spots in the HaloWC 2018 Finals. The event will be seeded based on qualification points coming into the event, and the Top 4 teams in points will receive free travel and hotel accommodations. This event is the regional final for LATAM and will qualify the winning team directly to the HaloWC Finals through an open double elimination bracket seeded by points. The top 4 teams in points leading up to the event will qualify for free travel and hotel accommodations. Be on the lookout for the official HaloWC handbook for more specific format details. The Halo World Championship 2018 is bigger and better than ever before with new partners, more open events, more teams, and more ways to compete with over $1,000,000 in prizing during the season. Think you’ve got what it takes? What a way to finish. 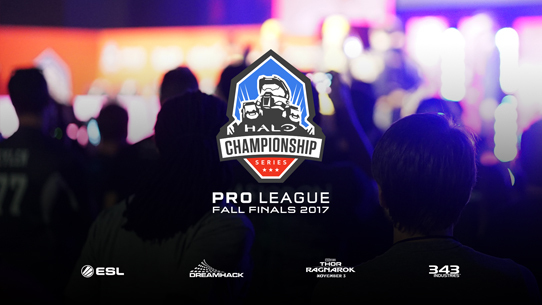 The HCS Fall 2017 Finals was the culmination of three intense days of close competition under the bright lights at DreamHack Denver. The final frag has been tallied, and a new king of competitive Halo has been crowned. The Halo World Championship is back, as players and teams around the globe set their sights on the Sunshine State for the opening salvo of the HaloWC 2018 season. 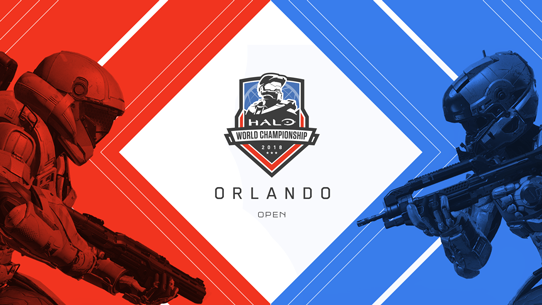 Open to all regions around the globe, and featuring the return of MLG to competitive Halo, the Orlando Open features an incredible slate of top Halo players from all around the world.